On behalf of the IBA Alumni community, we would like to congratulate Mr. Ahmed Ali Siddiqui, Alumnus 2001, on being featured in the Islamica 500 http://islamica500.com/, an annual publication that features top 500 of the world's most prominent and influential personalities in the Islamic economy and the Halal Industry. 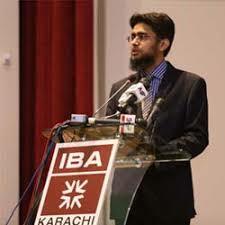 Mr. Siddiqui achieved this feat in his capacity as Director, Center for Excellence in Islamic Finance, IBA Karachi. Mr. Siddiqui holds more than 14 years of experience in Islamic banking and is presently the Senior Executive Vice President and Head, Product Development and Shariah Compliance (PDSC) at Meezan Bank.